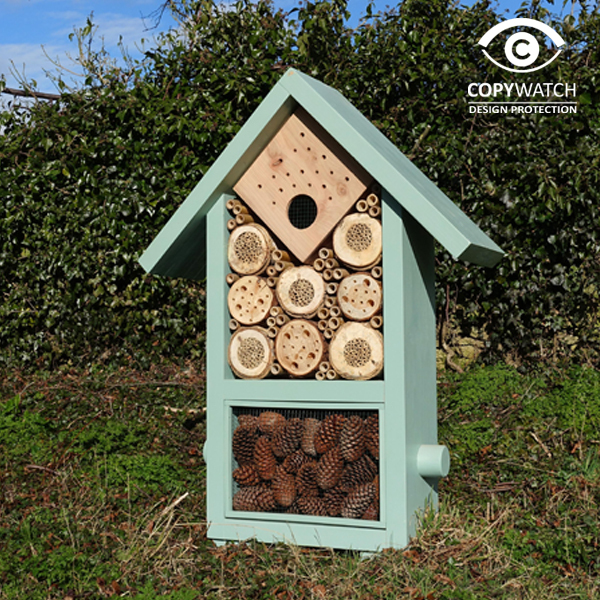 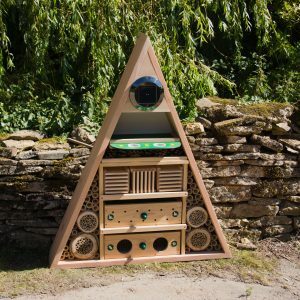 The exterior of this stylish insect hotel is made from FSC timber filled with an array of different sized drilled wooden nesting tubes. 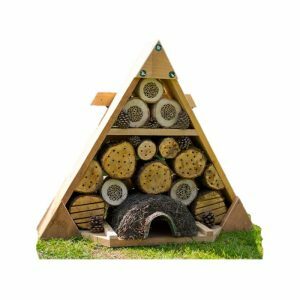 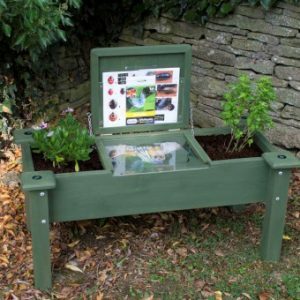 This variety provides suitable refuge, nesting and over-wintering sites for lots of different beneficial garden insects, including ladybirds, lacewings and safe solitary bees. 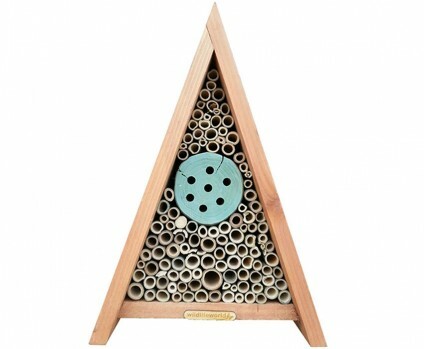 The central drilled wooden bee tube is painted in a contrasting water-based blue paint. 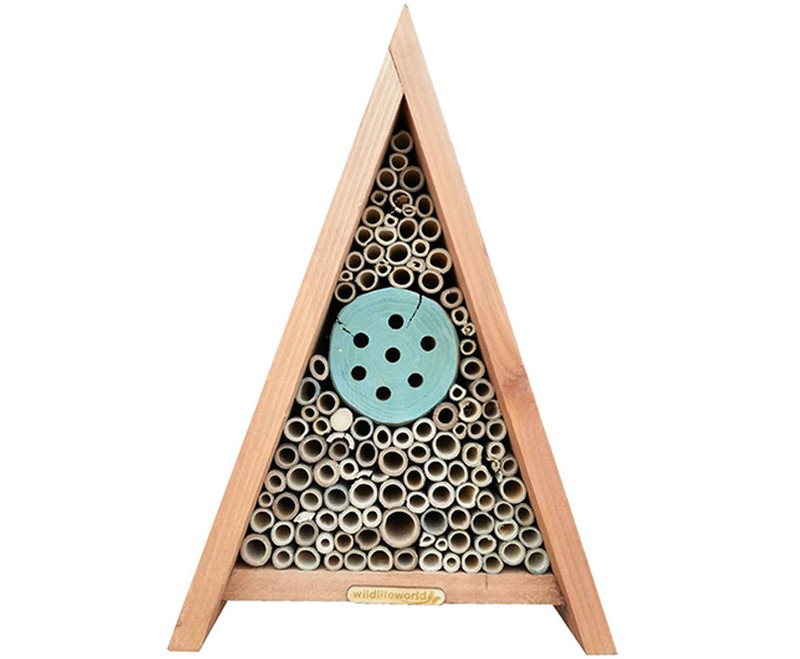 The hotel can be used with paper bee tube liners that allow for careful management of the developing larvae. 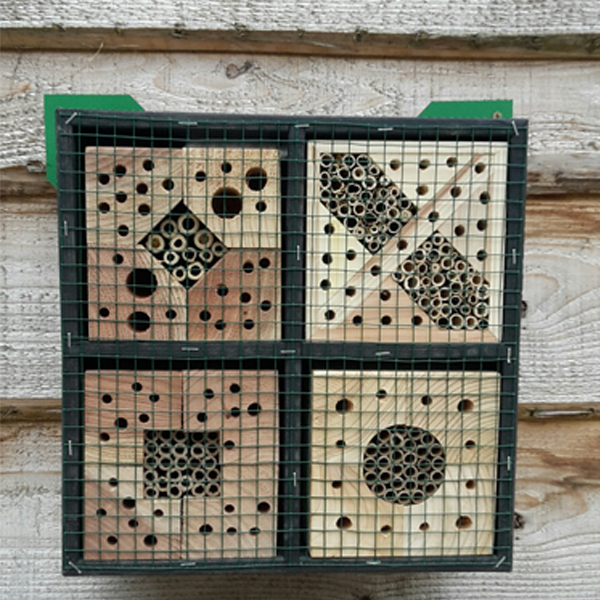 These removable liners can enable inspection of the developing larvae for parasites and predators that may kill the developing bees.